Photo contributed by Sadie Gustafson-Zook. I really love “Godspell 2012” (the very confusing name—since it is now 2015—of the “Godspell” revival written in 2012), which is good, since it pretty much owns my life right now. The cast is cool. The music is cool. 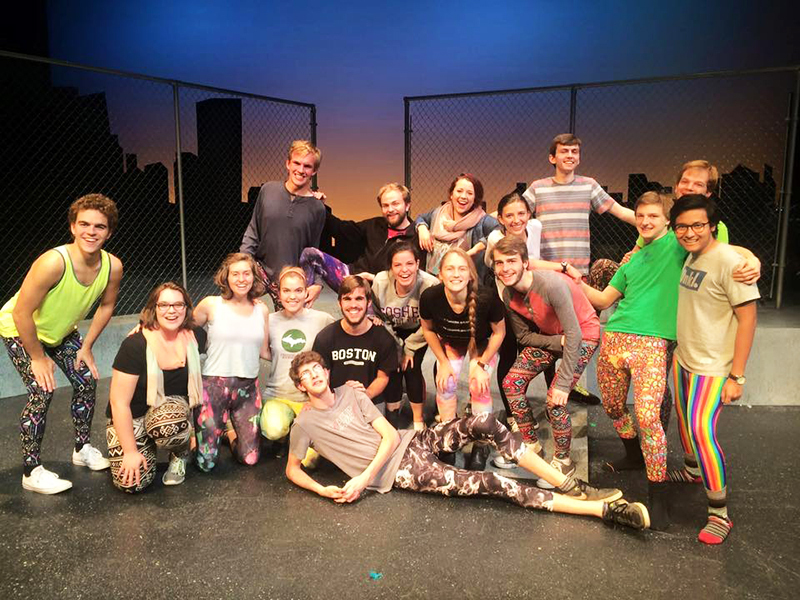 You, my dear readers, are also cool—which is why I am going to take this opportunity to let you in on a few of my favorite “Godspell 2012/2015” jokes, secrets and stories. 1. If you need to know one joke from “Godspell,” it is the word “cake.” Once upon my birthday I brought cake into rehearsal. We all ate it, and from then on, we shouted “CAKE” whenever there was the slightest possibility of us eating or talking about cake. Not the funniest joke, but important, nonetheless. 2. One time we decided to have a group jog/brunch potluck. This turned out to be a wonderful idea. We got so lost in the woodz that we got to walk for four-fifths of the “jog” and then we also got brunch. Win/Win! 3. Jacob Zehr is shirtless for part of the show. This is not a joke, it is just very important. 5. I am living at home this year, which means that Paul Zehr and I (along with some other lovely gents) are next door neighbors! One of my favorite parts of this show was getting to know Paul well enough to creep on him through my kitchen window… Okay, if I’m being real that would have happened anyway. But if anyone cares to know, he recently bought a card table and his family enjoys playing rugby. 6. A note about Maggie Weaver: she is a true model of a liberal arts student, using her newly honed Khmer skills to translate her “Godspell” song, “Where are you going?” into Khmer—a riveting rendition. 7. There is a scene in “Godspell” where the cast is somberly wailing at the wailing wall. Unfortunately, I made the mistake of calling someone out for sounding too sexual on their “Oh Jerusalem!” and so now everyone is doing it intentionally. Curse me, unintentionally perpetuating the problem. 8. During the Pictionary portion of the show, we try to finish the statement, “If someone asks you for the shirt off your back…” to which my answer is supposed to be “give your coat as well!” However, one of the first times we ran through it, I was in a weird mood. People had been making some absurd guesses, and I was fully intending to deliver my line correctly. I shushed everyone, and, to my astonishment, heard myself yelling, “GIVE THEM YOUR FISH!” To this day, I still have no idea where that came from. In closing, “Godspell 2012/2015” has proven to be a lot of fun. 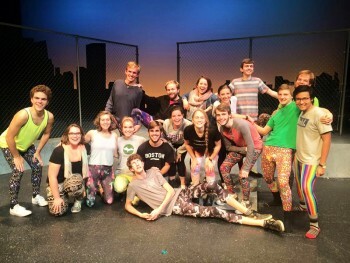 In the words of Jimmy B, “I belly laughed, waxed nostalgic and “sang along.” He also described “Godspell” using words such as “Leg akimbo,” “Mew-sick” and “Corny malapropisms.” If that doesn’t make you want to come see “Godspell 2012,” I don’t know what will.